Truth is video has become a staple in the arsenal of modern marketers and is set to grow in the coming years. But while online video sites are already popular among established brands, it’s becoming increasingly important for small and medium sized businesses to embrace this trend to stay ahead of the game. 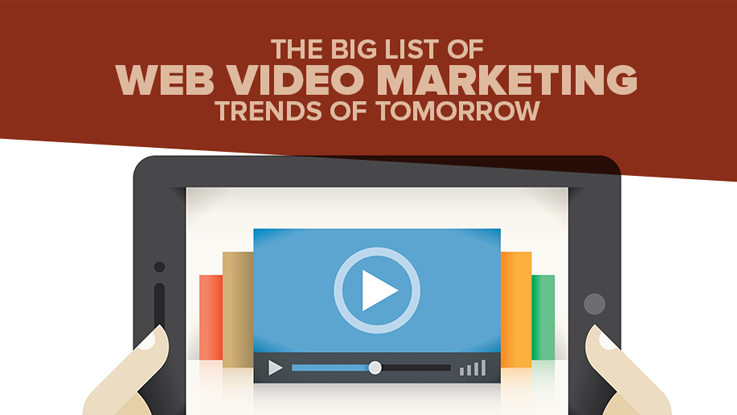 Here, we present to you the Big List of Web Video Marketing Trends of Tomorrow to help you deliver the maximum value of your videos in 2016.